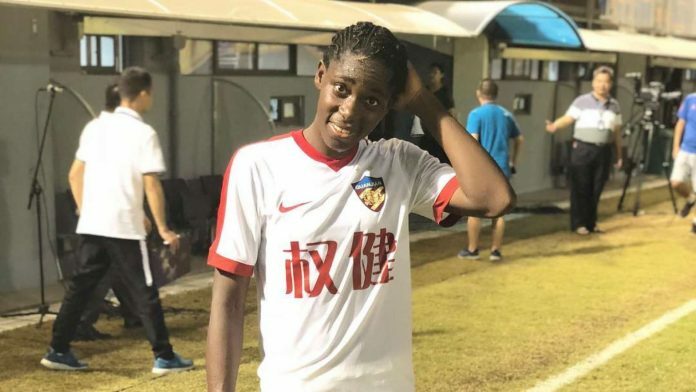 Dalian Quanjian of China attacker Asistat Oshoala, is thinking big ahead of this year’s FIFA Women World Cup in France, as she says the Super Falcons of Nigeria can win the trophy if they get adequate preparations. Oshoala is non-pulsed by the fact that the nine-time African champions will play Denmark, South Korea and the host country, France in their group, as she believes the Falcons can hold their own against any manner of opposition. I’m really not concerned about the group because I know we will do well if we get the best preparation. It is 11 versus 11 on the pitch and with the new confidence in the squad I’m sure we will do well; and hopefully we can win the trophy.